After setting the sixth fastest time after the opening day of running in Abu Dhabi Sergio Perez was in a positive frame of mind and looking forward to the rest of the weekend. 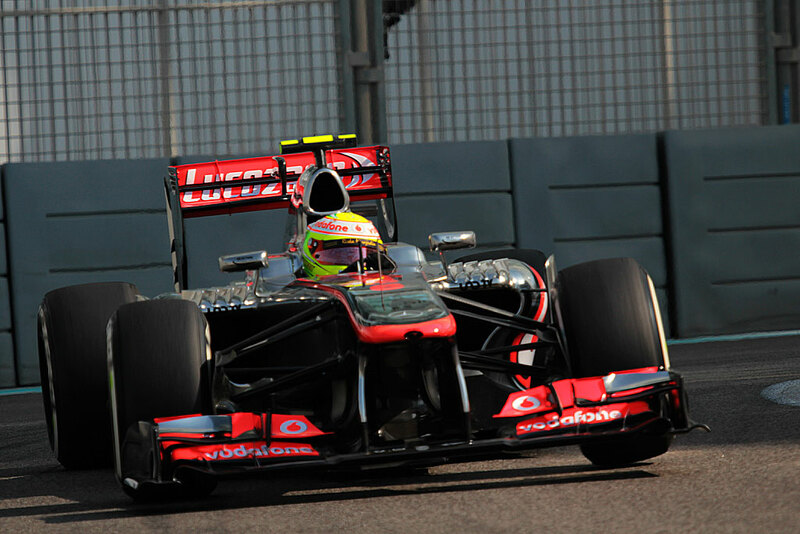 The Mexican, who has endured a difficult first season with McLaren, was four thousands of a second faster than his teammate, Jenson Button. Speaking to the media after the second practice session the Mexican was clearly pleased to have registered a strong performance. In India both McLaren drivers made it through to the Q3 shootout so it will be interesting to see if they can show improvement tomorrow during qualifying. With Ferrari clearly struggling after the opening day there is potential for Perez to continue the momentum of his fifth place finish in India and have another strong weekend. 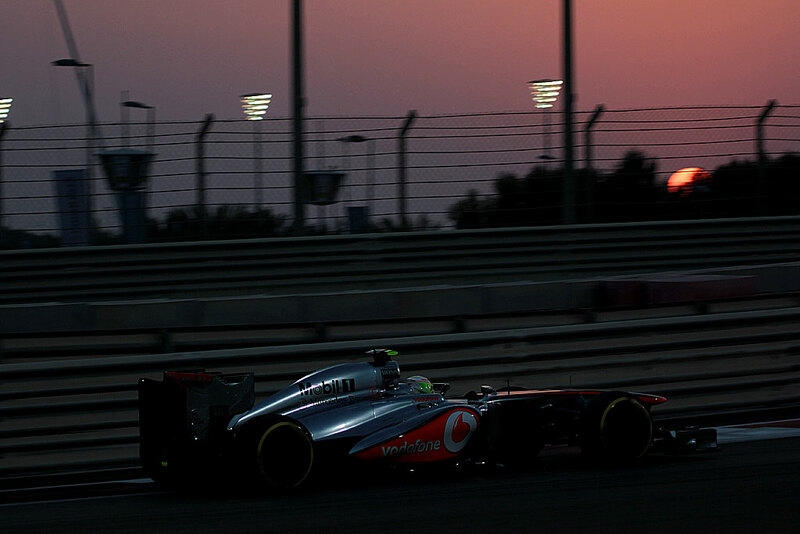 This entry was posted in Formula 1, News and tagged Abu Dhabi, Ferrari, Friday, India, Jenson Button, McLaren, Perez, Sergio Perez. Bookmark the permalink.